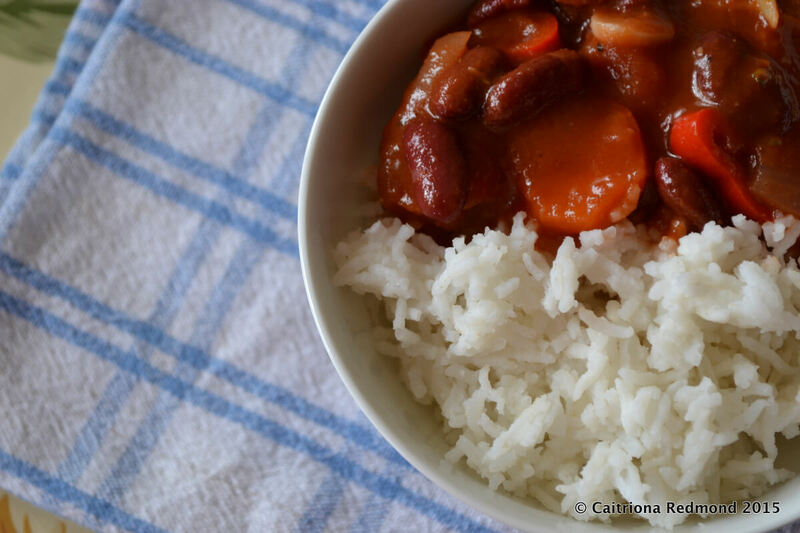 I’ve done the research on this recipe and have a Slimming World, Weight Watchers, and calorie count so that if you decide to make this vegetarian bean chilli with rice you’ll know exactly what you’re dealing with. Take a large saucepan with a lid, spray the inside of the saucepan while still cold. Place on a medium heat and wait until it’s hot. Once hot, add the onion and garlic. Cook until softened, not cooked. Add the ground cumin and paprika, stir until the ground spices coat the onions and garlic. Add in the rest of the ingredients, excluding salt and pepper. Stir well. Cover the saucepan and bring it to a slow simmer. Cook for 30 minutes, until the vegetables are tender but still have a bit of a crunch. 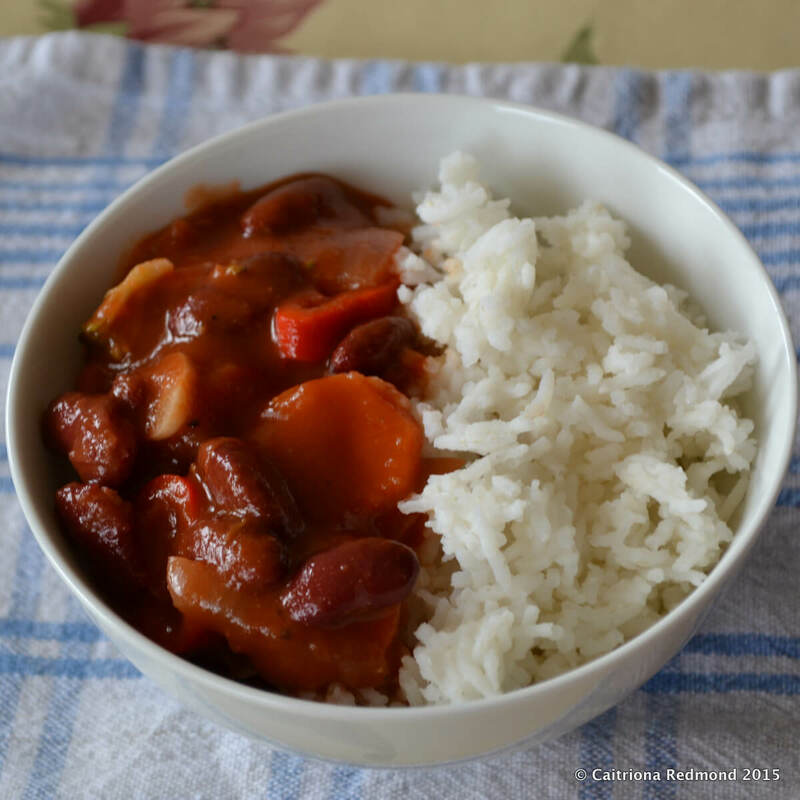 Serve with 100g of cooked white rice per person.